When you think about eyebrow maintenance, you probably think about pain. The most popular methods of eyebrow maintenance, waxing and tweezing, are certainly not a walk in the park. But there is a lesser-known way to keep your brows in check: threading. The increasingly popular hair removal service originated in Asia. Its growing popularity is due it being far less painful than other services, with the same lasting results. One of the reasons eyebrow threading is so popular? It is 100% natural. Your technician's only tools are a few twisted cotton threads. If your skin is sensitive, they may use a touch of aloe vera gel as well. That's all -- there are no chemicals or substances involved. Dermatologists even consider it to be the safest hair removal technique. The threads grasp your hair only and pull it directly out of the follicle. The threads are very precise and can grab even the smallest of hairs. Since nothing is touching your skin directly, there is no risk for infection or skin damage. 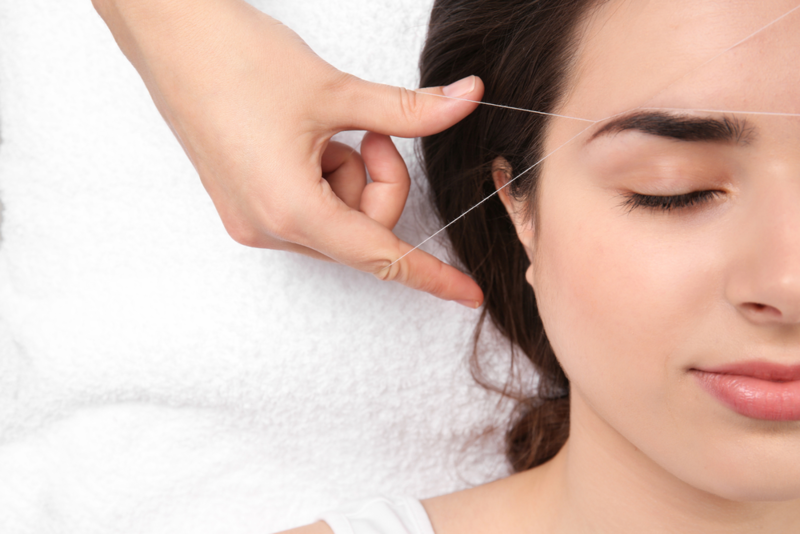 Similarly to eyebrow waxing, threading pulls the hair directly out of the root. The results will last for about 4 to 6 weeks, about as often as you would get waxed. Regrowth depends on how fast your hair grows. Feel free to touch up with tweezers between appointments if necessary. Before you race over to Salon d'Artiste to get your eyebrows threaded, there are some things you should know. First, don't say goodbye to waxing just yet. Experts still recommend waxing for larger areas, like your legs. Threading is better for smaller, precise areas. Additionally, hold off on putting makeup near freshly-threaded areas. Concealer or foundation could clog the open pores where hair used to be. Salon d’Artiste has been on the forefront of day spa experiences since 1985. If you're ready to transform your brows, make an appointment today. You can call us at 610.687.2020 or come see us at the salon at Eagle Village Shops at 205 Lancaster Ave. #2 in Wayne. Want to make an appointment instantly? Use our app which is available through the Apple Store, Google Play, or Amazon.